Complete academic assignments on this refurbished Apple MacBook laptop. Its 12-inch Retina display provides crisp, detailed visuals, and the Intel Core M3 processor and 8GB of RAM let you task-switch quickly between programs. 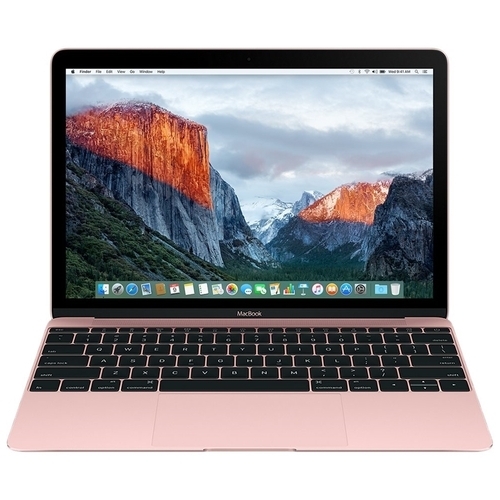 This rose gold Apple MacBook laptop has 256GB of flash storage for saving photos, documents and videos.